Click the image for a much larger version of this HVSS parts diagram. 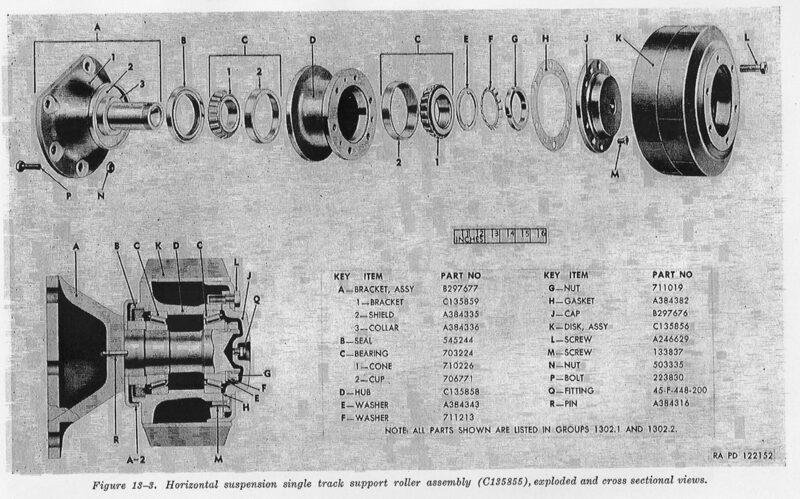 The HVSS system had a much wider 23 inch track but still remained a bolt on module. It could replace the VVSS suspension on any version of the Sherman or anything based on its hull. 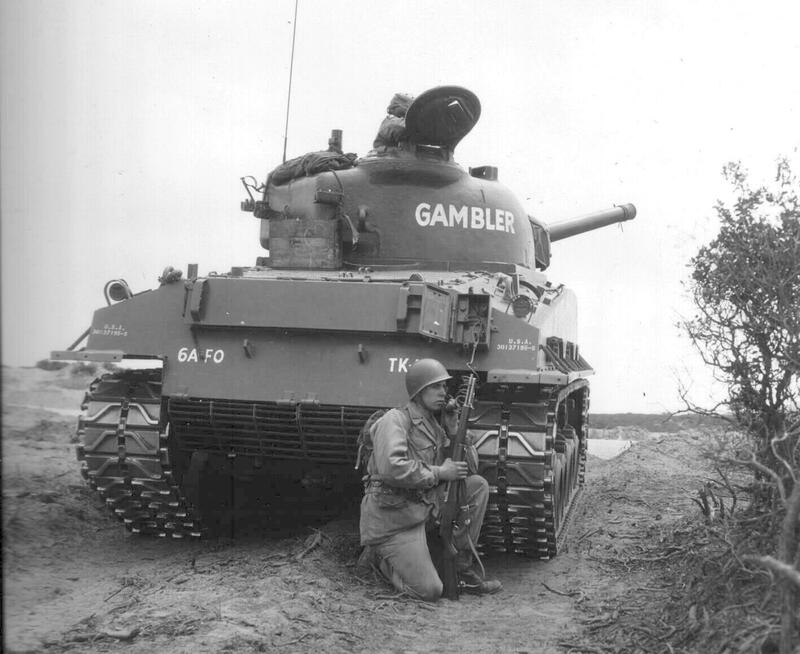 It was very well received and used on many late production Sherman models and a few of the variants. It solved the floatation problem with no drawbacks. 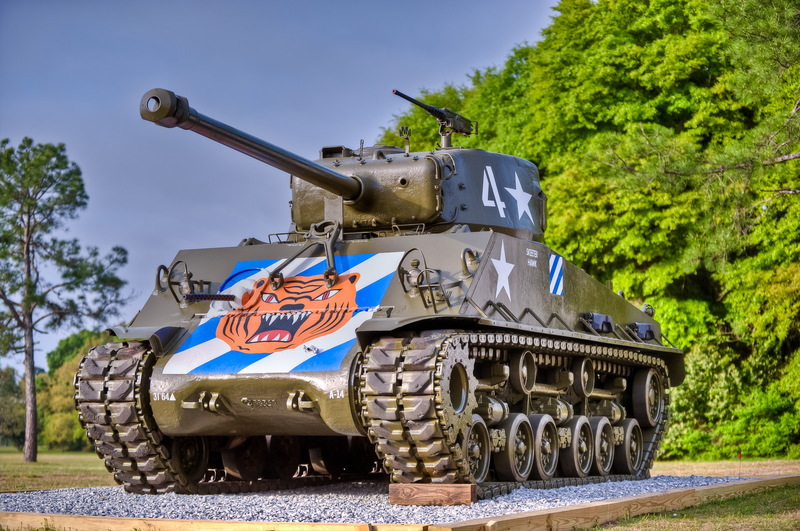 Thousands of 75mm M4A3 Shermans received this suspension coupled to large hatch wet hulls, this was the ultimate 75mm Sherman tank. 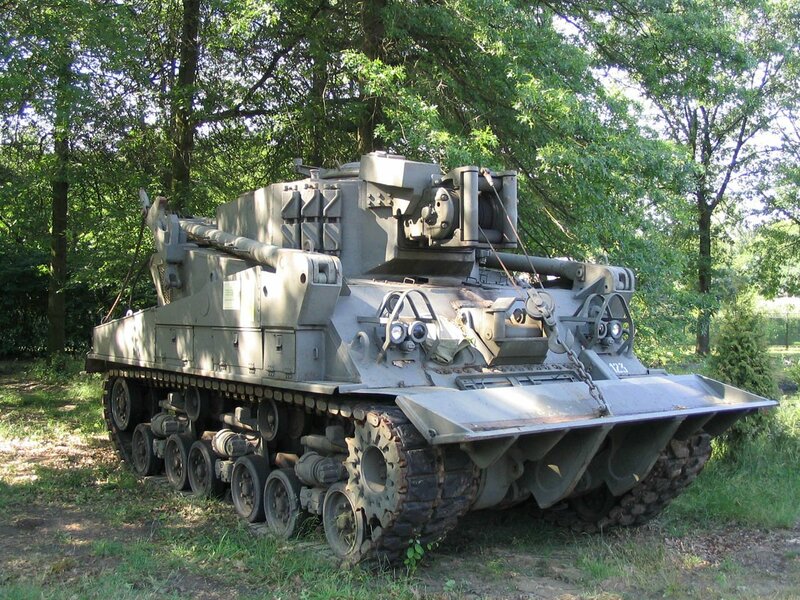 This would become the preferred suspension type for US Army Shermans, and many M4A3 75mm hulls either lost the suspension or had its 75mm turret removed and replaced with a T23 turret and 76mm M1A2 gun after the war. A nice exploded view of an HVSS suspension arm, wheel and hub. Click for larger version. The HVSS suspension was just like the VVSS in that it was a bolt on module, and easy to change or swap onto earlier hull types. Repairing one bogey setup, or even two and putting the track back together was a lot easier than trying to get the stub of a broken torsion bar out of the hull so a new one could go in or repairing the springs on the Christie type. If the Boggie couldn’t be repaired in place, a whole new boggie could be swapped right in. 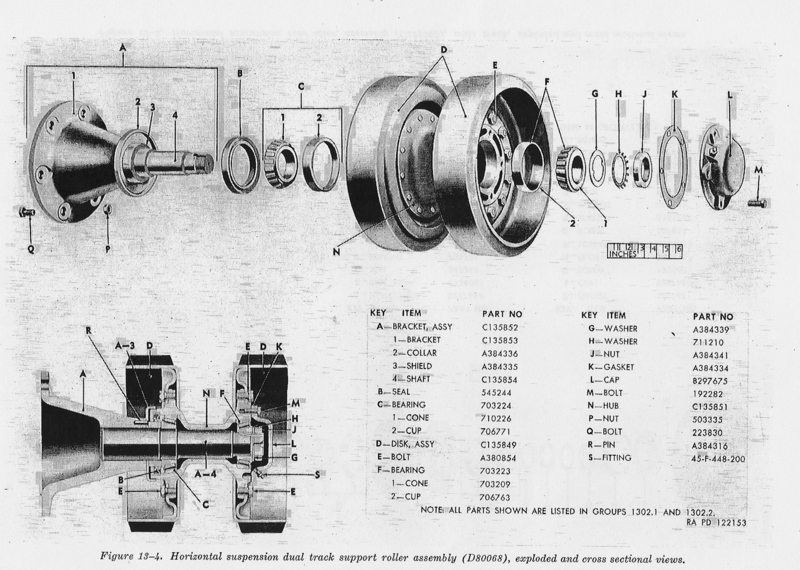 This is an exploded and sectional view of the HVSS idler wheel. I’s adjusted the same way as the old VVSS setup. The HVSS system doubled the number of road wheels but made them easier to change. 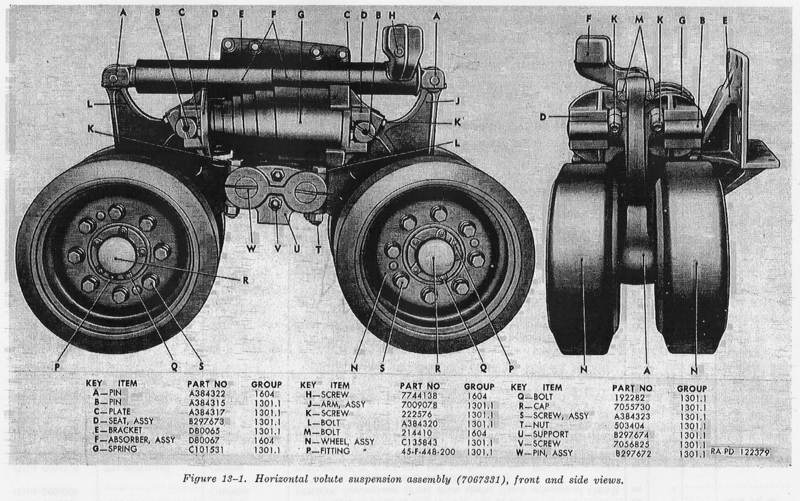 The HVSS also included a shock absorber at the top of each bogie unit, further improving the ride of a tank it was already good on. 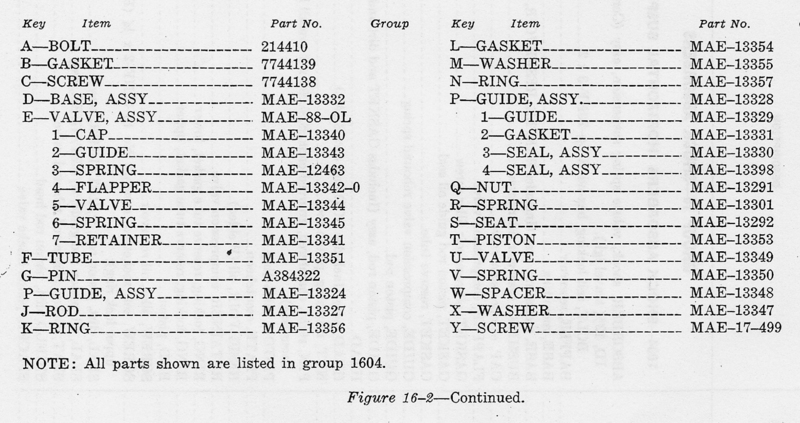 The Israeli’s were the biggest users of older hulls upgraded with HVSS, and since they used their own designation system, figuring out what the Sherman was originally can be challenging. Well, a challenge for anything but the M4A4. 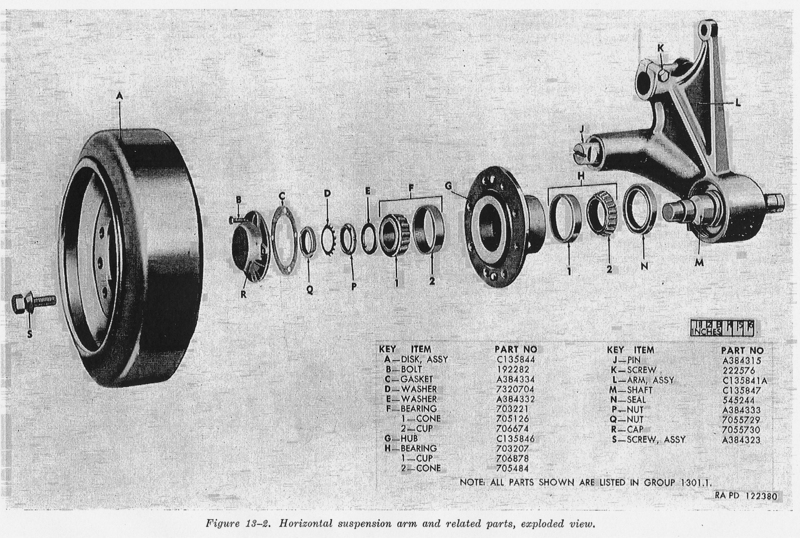 This is the other type of track roller used on HVSS Shermans, sectional and exploded views, click for much larger image. 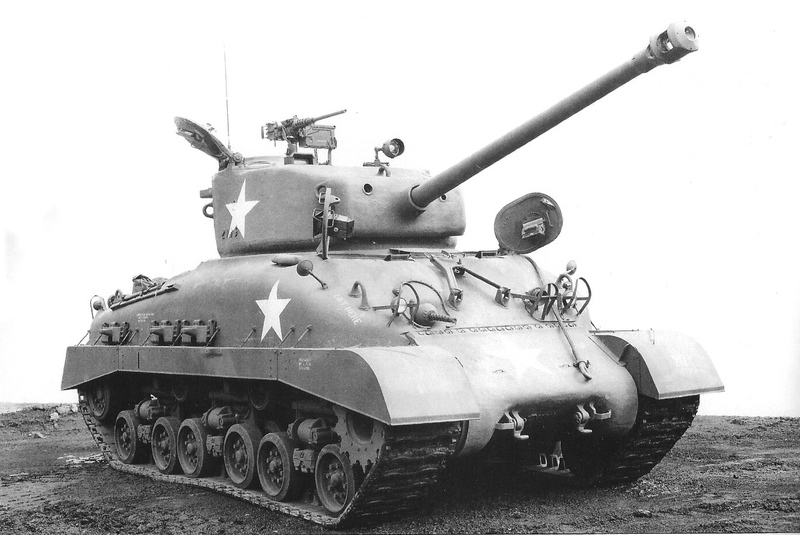 An experimental Sherman with torsion bar suspension was produced and found to be a little better than the basic VVSS tanks, and no better than the HVSS tanks and production was never considered. 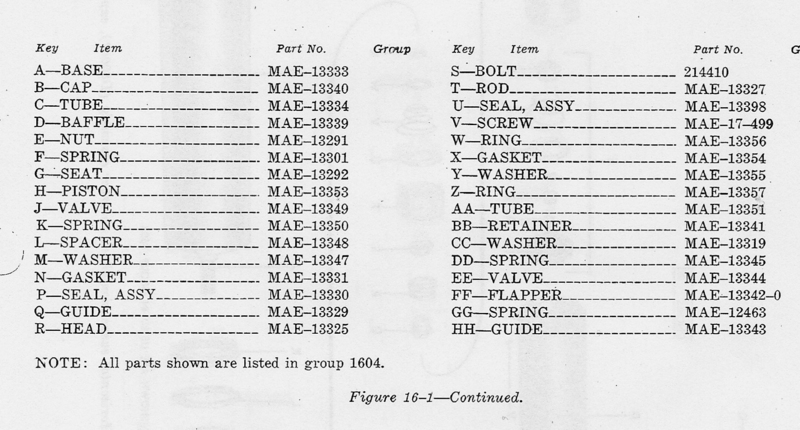 The HVSS suspension made it onto a lot of things built on the Sherman chassis as well. 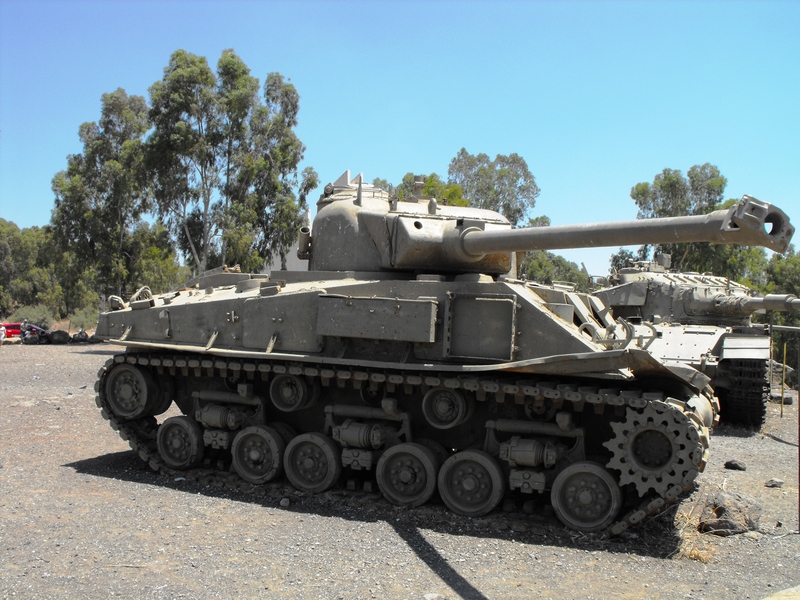 HVSS was also retrofitted onto older small hatch hulls used in Israel’s M50 and M51 Sherman tanks. 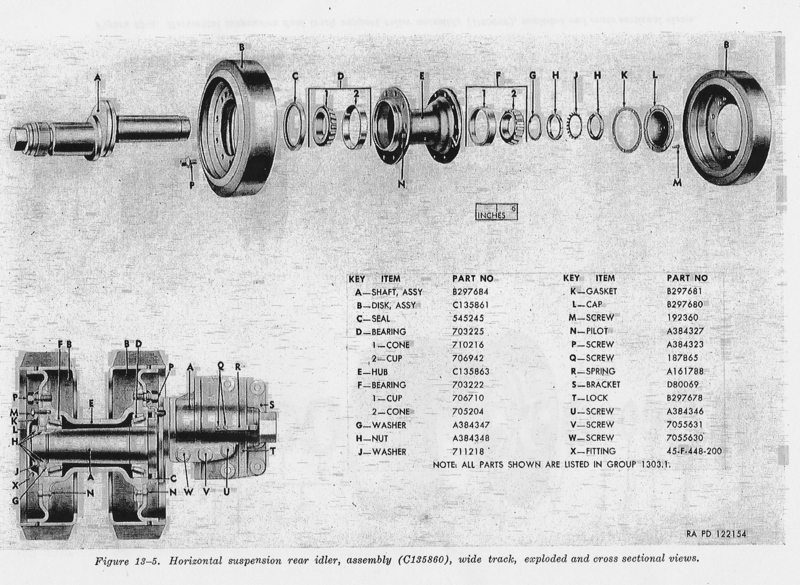 The interchangeable suspension, even to older models surely prolonged the tanks life, and there’s a Canadian heavy equipment company still manufacturing suspension based on the Shermans suspension for use in the logging industry. 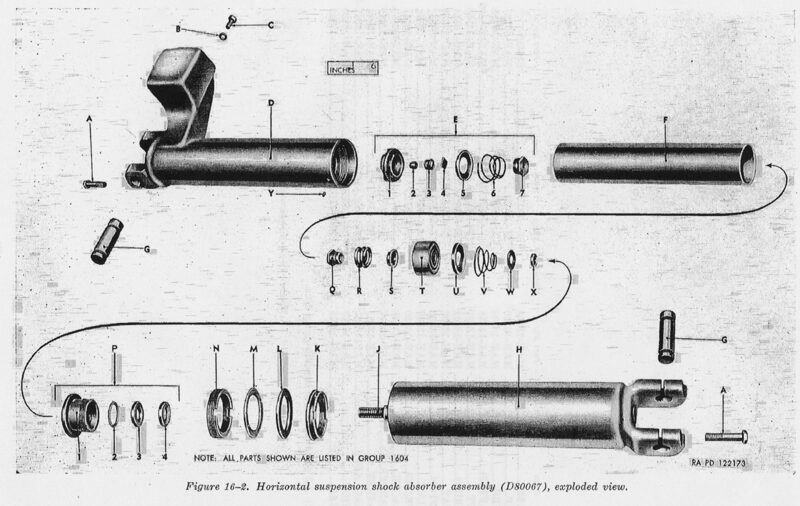 This is an exploded view of the HVSS shock. Click for a larger image. 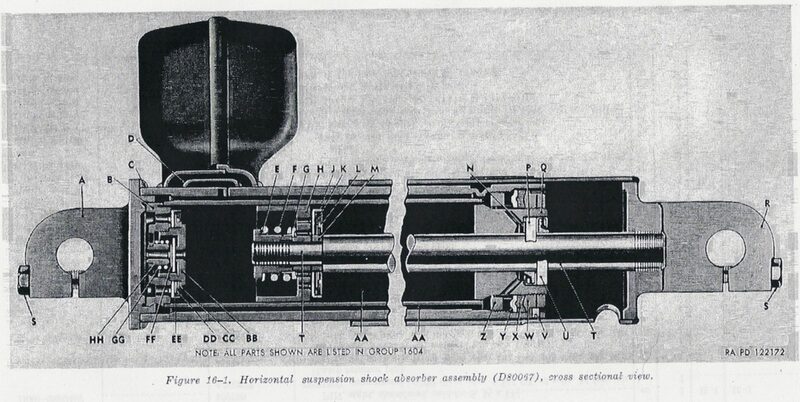 Sectional view of the HVSS shock.Click for a larger version. 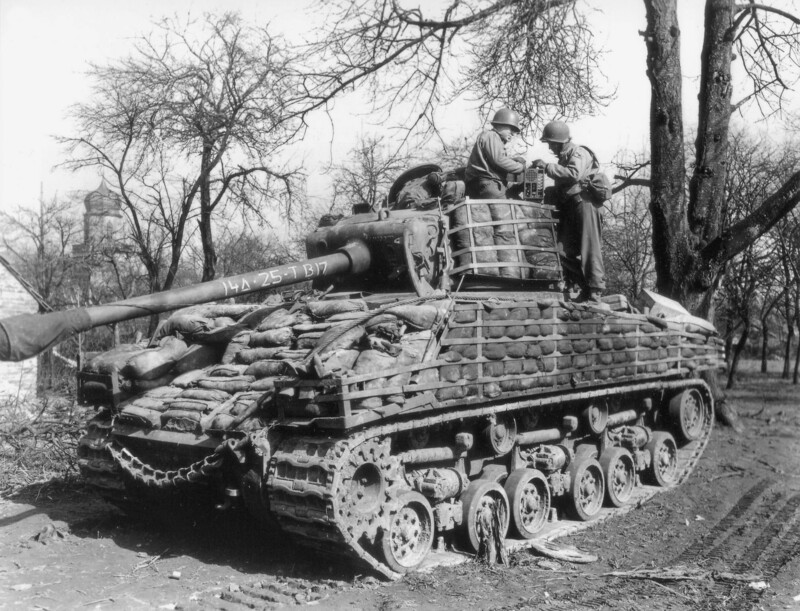 A post war M4A1 76W HVSS tank, these tanks just missed the war in Europe. 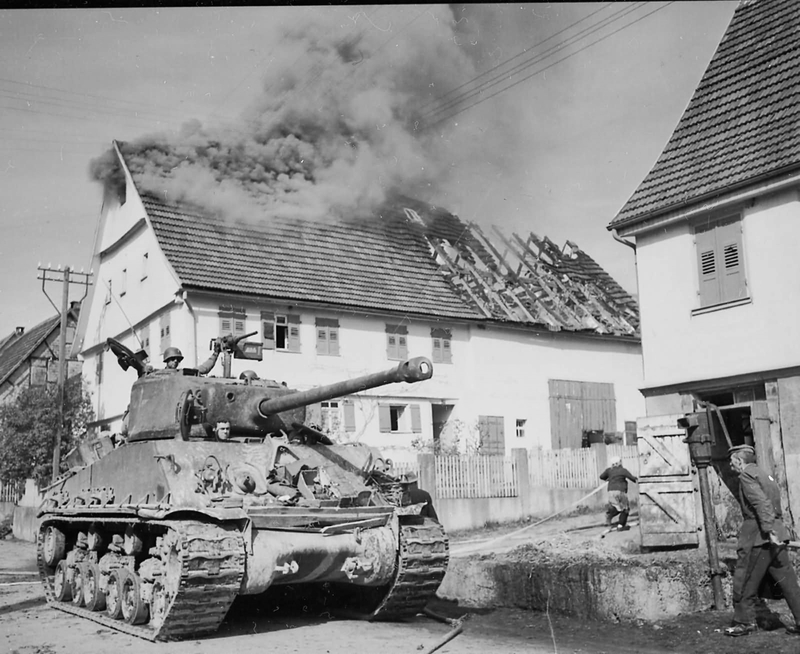 14th AD M4A3E8 76 HVSS or Easy 8 with sandbags. This tank started out as an small hatch M4 or M4A2, the IDF added the HVSS suspension. This in an M70, a post war ARV based on the M4A3.